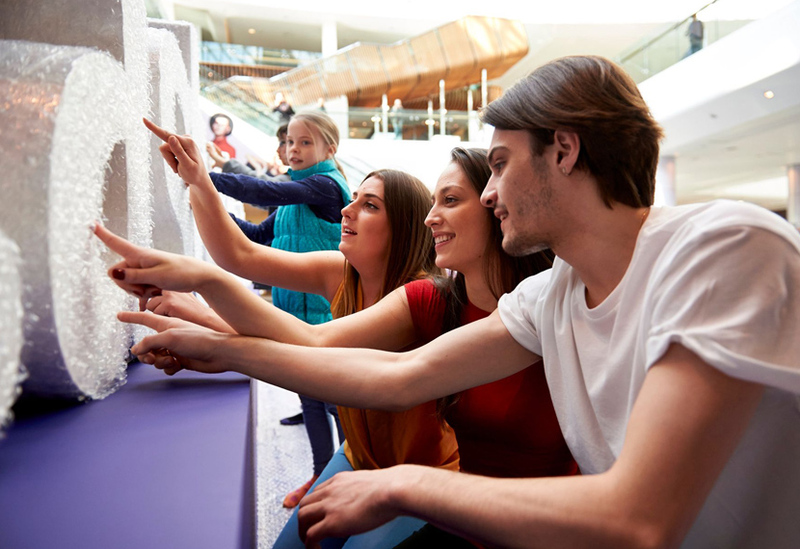 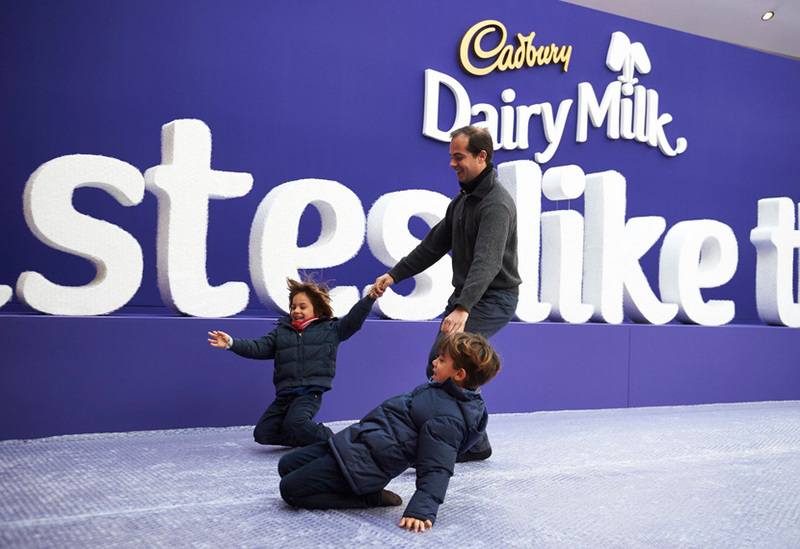 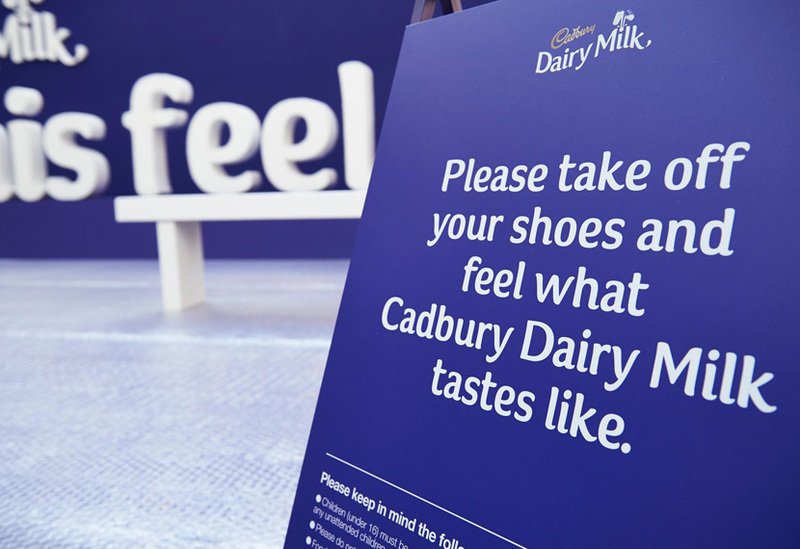 The Cadbury ‘tastes like this feels’ experiential brand activation saw members of the public delighting in the opportunity to pop as many bubble-wrap bubbles as they liked on the giant purple set, with a total of 2km of bubble wrap being used over the course of the week. 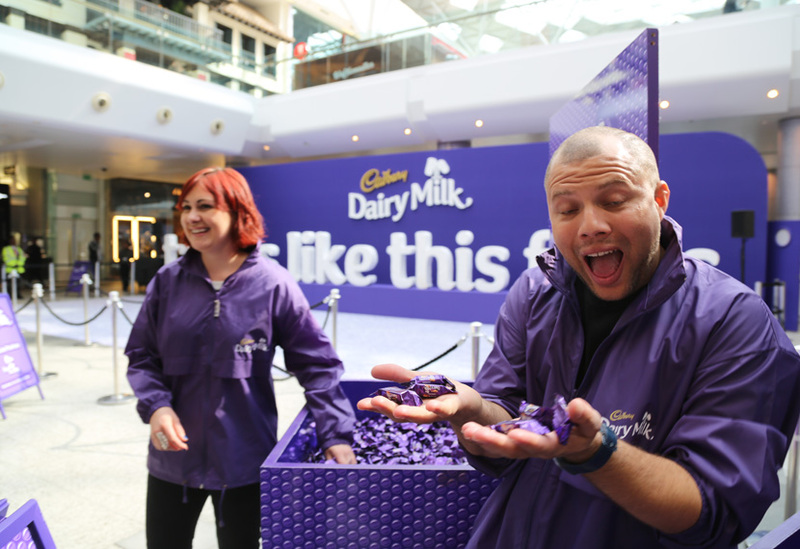 The 14 metre long, 4 metre high rear wall consisted of a timber frame clad with scenic flats painted in the instantly recognisable Cadbury purple. 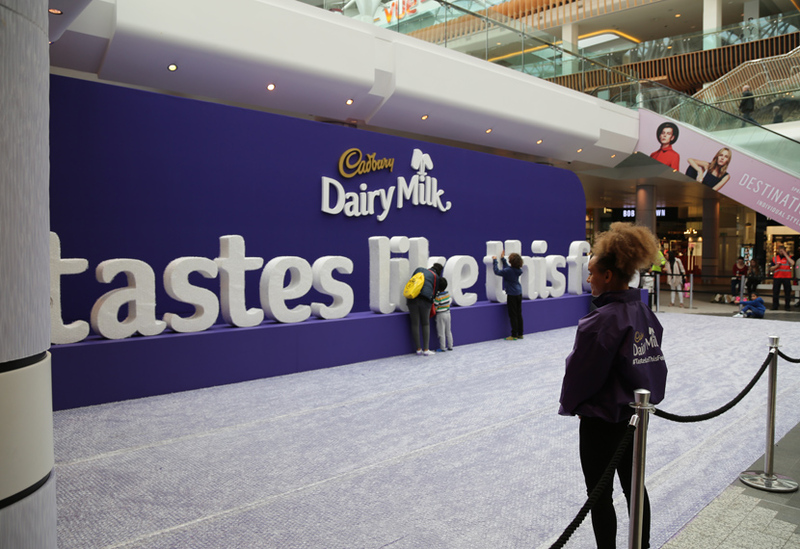 A logo was created with stand off lettering in white and the specific shade of Cadbury gold. 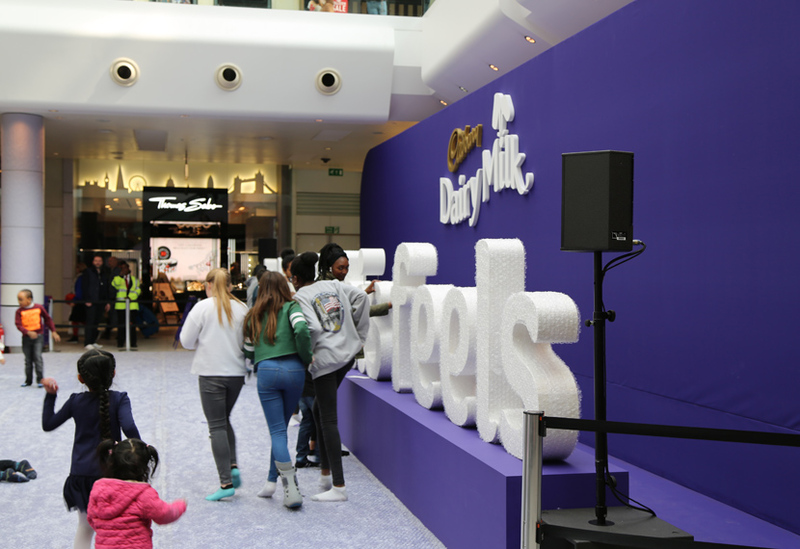 We created a double-painted ramped floor to the front, with three 14 metre strips of bubble wrap for participants to pop. 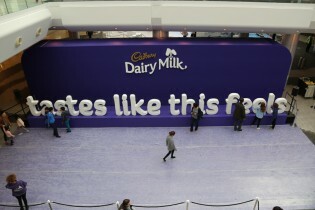 Giant letters were created from layers of 18mm MDF, accurately cut using our CNC facilities before being sandwiched together. 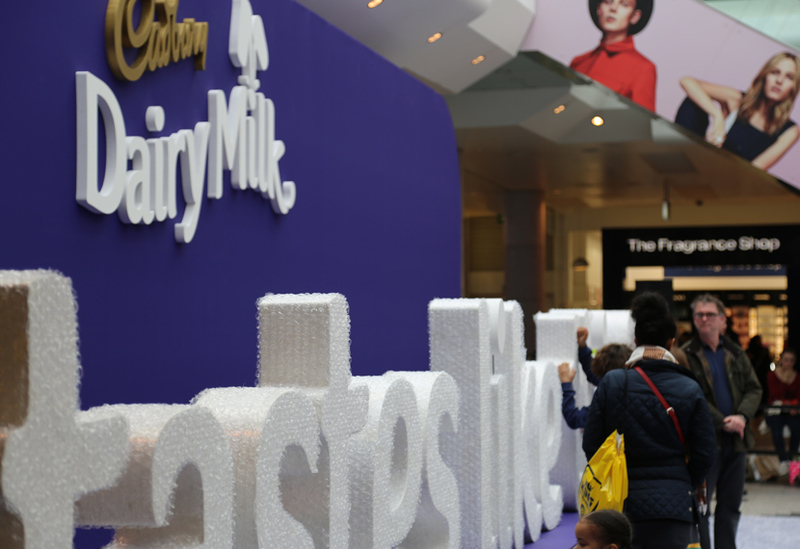 After painting, each letter was bubble-wrapped and mounted on a platform, offering participants more opportunities to engage with the brand. 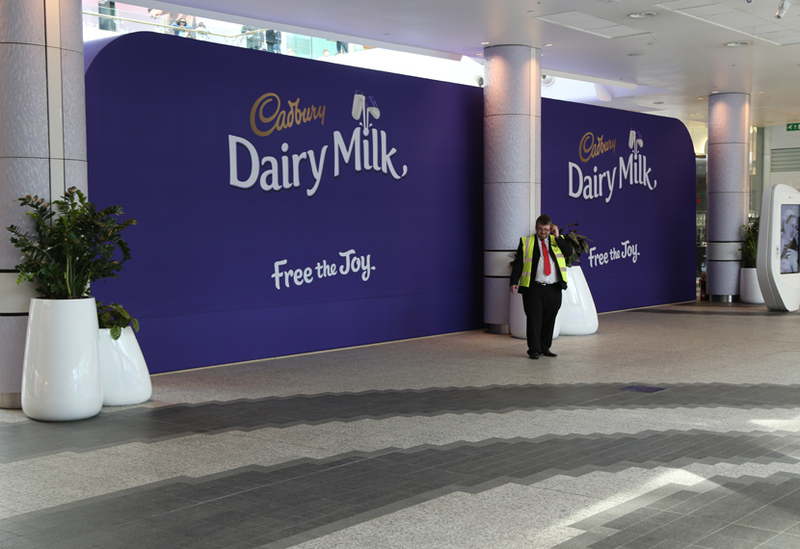 The installation proved to be very successful with further activation opportunities being planned for the future.